The Swell and Pedal stop jamb. 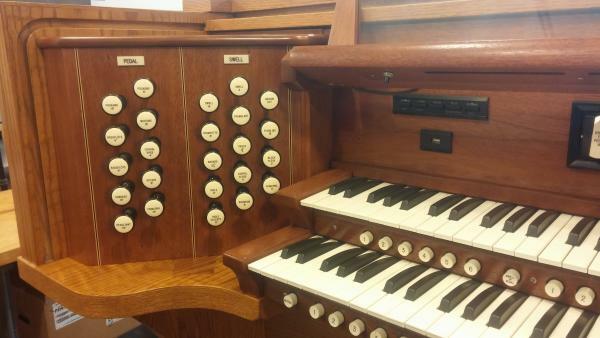 Console rebuilding and enhancement with new multiplex relay for Faith Methodist Church in Champaign, IL. 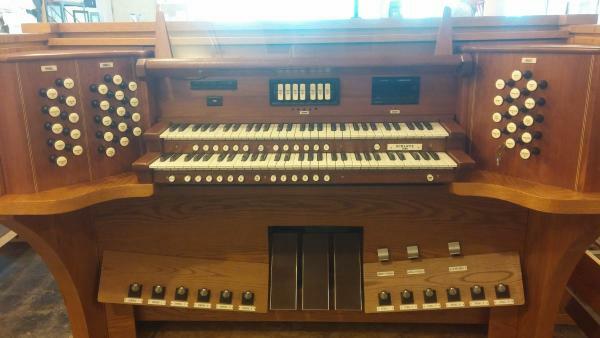 This 1985 Schantz Pipe Organ resides at Faith United Methodist Church in Champaign, Illinois. 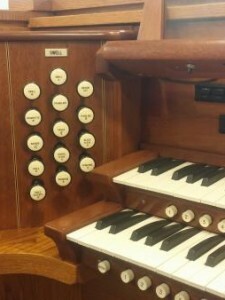 The Buzard team was commissioned to bring the console and internal relay mechanism up to the modern industry standard. 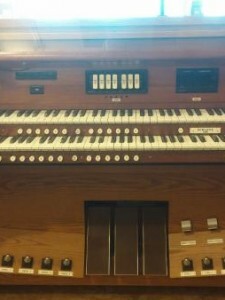 We installed a new multiplex relay, repaired, polished and enhanced the console (including inlaid wood strips to demarcate the divisions) and added, at the request of the organist, a 32’Resultant stopknob to the Pedal Division.